ALMA: When Is a Nova Not a ‘Nova’? Using ALMA, an international team of astronomers found evidence that a white dwarf (the elderly remains of a Sun-like star) and a brown dwarf (a failed star without the mass to sustain nuclear fusion) collided in a short-lived blaze of glory that was witnessed on Earth in 1670 as Nova sub Capite Cygni (a New Star below the Head of the Swan), which is now known as CK Vulpeculae. The quick brown Vulpecula 8 the white Anser? <<"The quick brown fox jumps over the lazy dog " is an English-language pangram—a sentence that contains all of the letters of the alphabet. It is commonly used for touch-typing practice, testing typewriters and computer keyboards, displaying examples of fonts, and other applications involving text where the use of all letters in the alphabet is desired. As the use of typewriters grew in the late 19th century, the phrase began appearing in typing lesson books as a practice sentence. Early examples include How to Become Expert in Typewriting: A Complete Instructor Designed Especially for the Remington Typewriter (1890), and Typewriting Instructor and Stenographer's Hand-book (1892). By the turn of the 20th century, the phrase had become widely known. In the January 10, 1903, issue of Pitman's Phonetic Journal, it is referred to as "the well known memorized typing line embracing all the letters of the alphabet". Position of the 1670 Nova near Albireo. Vulpecula and Anser constellation can be seen on the bottom of this c. 1825 star map from Urania's Mirror. <<Vulpecula is a faint constellation in the northern sky. Its name is Latin for "little fox", although it is commonly known simply as the fox. 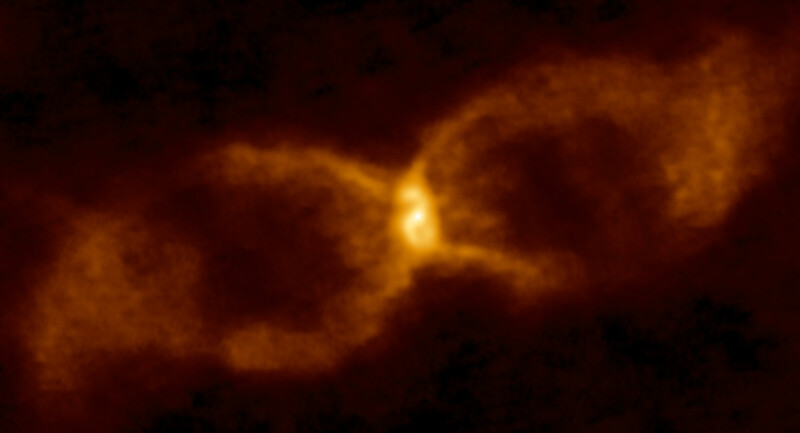 The brightest star in Vulpecula is Alpha Vulpeculae, a magnitude 4.44m red giant at a distance of 297 light-years. The star also carries the traditional name Anser, which refers to the goose the little fox holds in its jaws. In 1967, the first pulsar, PSR B1919+21, was discovered in Vulpecula by Jocelyn Bell, supervised by Antony Hewish, in Cambridge. While they were searching for scintillation of radio signals of quasars, they observed pulses which repeated with a period of 1.3373 seconds. Fifteen years after the first pulsar was discovered, the first millisecond pulsar, PSR B1937+21, was also discovered in Vulpecula, only a few degrees in the sky away from PSR B1919+21.